Bangkok-Monday,13 March 2017, On behalf of pharmacy of Universitas Ahmad Dahlan (UAD), Assit Prof. Dr.rer nat Endang Darmawan M.Si.,Apt given the speech and guest lecture in Siam University Thailand on Sunday, 13 March 2017. This lecture conveyed for academic staffs and students by tittle”Activity of blac Cumin Oil on Metabloic Syndrome”. Simultaneously, undergraduate student from UAD also doing research “research training” attended by Ramadhina Nurficahyanti from march and april 2017. 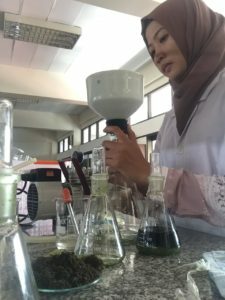 During one month Ramadhina will attend the research under guidence her supervisior from Siam University, Asst Prof Dr. Werayut Pothitrat by tittle”Antibacterial causing acne activity of some medicinal plants”.